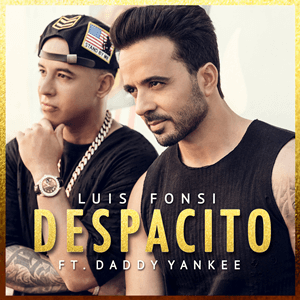 "Despacito" is a song by Puerto Rican singer Luis Fonsi featuring Puerto Rican rapper Daddy Yankee from Fonsi's 2019 studio album Vida. On January 12, 2017, Universal Music Latin released "Despacito" and its music video, which shows both artists performing the song in La Perla neighborhood of Old San Juan, Puerto Rico and the local bar La Factoría. The song was written by Fonsi, Erika Ender, and Daddy Yankee, and was produced by Mauricio Rengifo and Andrés Torres. A remix version featuring Canadian singer Justin Bieber was released on April 17, 2017, which helped to improve the song's chart performance in numerous countries, including various number-one positions. "Despacito" has been widely credited by music journalists as being instrumental in popularizing Spanish-language pop music in the mainstream market again. The worldwide increase of Latin pop music consumption throughout 2017 and 2018 has been referred to as "the 'Despacito' effect." Ramón Luis Ayala Rodríguez, known by his stage name Daddy Yankee, is a Puerto Rican singer, songwriter, rapper, actor, and record producer. Ayala was born in Río Piedras, Puerto Rico, and was raised in the neighborhood of Villa Kennedy Housing Projects. Daddy Yankee is the artist who coined the word Reggaeton in 1994 to describe the new music genre that was emerging from Puerto Rico; he is known as the "King of Reggaetón" by music critics and fans alike. "Aquí Estoy Yo" is a song written by Luis Fonsi, Claudia Brant and Gen Rubin; it was produced by Luis Fonsi and Sebastián Krys for Fonsi's seventh studio album Palabras del Silencio (2008), and it is performed by Luis Fonsi, Aleks Syntek, David Bisbal, and Noel Schajris. Menudo was a Puerto Rican-based, Latino boy band that was formed in the 1970s by producer Edgardo Díaz. Menudo was one of the biggest Latin boy bands in history, releasing their first album in 1977. The band achieved much success, especially during the 1980s, becoming the most popular Latin American teen musical group of the era. The group disbanded in 2009. The San Juan Children's Choir is a children's choir from San Juan, Puerto Rico. The group was founded in 1966 by its director, Evy Lucío Córdova, whose founding members included Gloria Tristani, who went on to become the first Hispanic member of the Federal Communications Commission during President Clinton's Administration, and Giannina Braschi, the Puerto Rican writer who chronicles her experiences with Evy Lucío and the San Juan's Children's Choir in her novel "Yo-Yo Boing!" 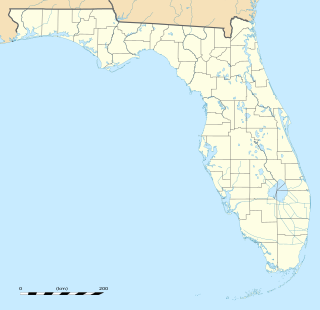 Dr. Phillips High School is a high school in Orlando, Florida, United States. Fonsi attended Florida State University School of Music on a full scholarship,  majoring in Vocal Performance. Eventually, he dropped out in order to pursue a career in music. Soon after, he was offered a recording contract by Universal Music Latin. In 1998, Fonsi recorded his debut album, Comenzaré (I Will Begin). The record peaked at number 11 on Billboard's Top Latin Albums chart and contained the singles "Si Tú Quisieras," "Perdóname," "Dime Como," and "Me Iré". Comenzaré became a hit in Puerto Rico and across Latin America, with Fonsi doing well in markets like Colombia, the Dominican Republic, El Salvador, Mexico, and Venezuela. His 2000 follow-up, Eterno , was even more successful. Around this time, Fonsi also recorded a duet with Christina Aguilera for her 2000 Spanish-language album, Mi Reflejo . On May 1, 2000, Fonsi performed at the Great Jubilee Concert for a Debt-Free World, an outdoor concert in Rome, attended by Pope John Paul II. That same year, Ednita Nazario won a Latin Grammy Award for a song composed by Fonsi. He also performed, with other artists, at the White House in honor of the victims of the September 11 attacks. His fifth CD, Abrazar la vida , sold very well, which opened new markets in Europe. "¿Quién Te Dijo Eso?" reached number one on the Billboard Latin charts. During his time in the studio for the next album, Fonsi recorded "Amazing", a duet with Spice Girl Emma Bunton for her 2004 album Free Me . His sixth CD, Paso a Paso , debuted at number one and sent him into international markets. "Nada Es Para Siempre" also reached number one on the music charts, and was a nominee for the Latin Grammy Awards. In 2006, he contributed to El Piruli, a tribute album honoring Víctor Yturbe, singing a classic bolero, "Historia de un Amor." In 2007, Luis Fonsi was selected to be part of the jury of the new version of the Latino boy band Menudo. The band would be a fusion of urban, pop and rock music in English and Spanish to produce several albums with the label of Sony BMG Epic Records. Several auditions were held in different cities such as Los Angeles, Dallas, Miami, New York, among others. Fonsi was a part of the Dallas competition where along the side of radio announcer Daniel Luna they chose varies contestants and in their pickings, rising star JC Gonzalez was 1 of the 25 selected. His seventh CD, Palabras del Silencio , debuted and stayed in the number one position for many weeks. Luis Fonsi entered the US Billboard Hot 100 for the first time in September 2008 with his song "No Me Doy por Vencido", debuting at number 98 and peaking at number 92. It reached number one on the Billboard Hot Latin Tracks chart, one of his biggest hits to date. "No Me Doy por Vencido" became Billboard's "Latin Pop Song of the Decade," and spent 21 weeks at number one on the Hot Latin Songs chart. In 2014, Fonsi released his album 8 , a reference to his eighth career album. He then did a tour named "Somos Uno" in 2014–15. He also mentioned that acting would be on his career path and that he wouldn't mind acting with Mexican actors and actresses. In November 2017, he released the song "Échame la Culpa", featuring Demi Lovato, which debuted at number three on the Hot Latin chart. The song won Song of the Year at the Latin American Music Awards of 2018 and received one nomination for Best Latin at the MTV Video Music Awards. As of 2018 the song sold more than 1 million copies worldwide. In June 2018, Fonsi released the single "Calypso", with Stefflon Don. The song peaked at number 11 on the Hot Latin chart. On 2 November 2018, he collaborated on the track "Baby" by Clean Bandit from their second studio album. The song peaked at number 13 of Billboard Hot Dance/Electronic Songs and at number 15 of UK Singles Chart. During 2005, Fonsi was in the middle of an international tour that was abruptly cancelled when López was diagnosed with cancer. Fonsi promised to stay by her side, and traveled with her to Mexico, Miami, and Puerto Rico for various treatment and work-related trips. She has been in remission since 2006. Abrazar la Vida, released on October 28, 2003, is the fifth album by Luis Fonsi. Puerto Rican rapper, songwriter and producer Daddy Yankee has released seven studio albums, two live albums, thirty-four singles, and one soundtrack. He made his debut on DJ Playero's Playero 34 mixtape, released in 1991. He was later featured on Playero's 37 and 38 albums, before releasing his first solo record in 1995, titled No Mercy. During the rest of the 1990s, he continued working on underground reggaeton records and released his first album as producer El Cartel de Yankee in 1997. After the release of his 2001 independent album El Cartel II: Los Cangris, he released his second studio album, El Cangri.com, in June 2002. It is cited as the record that made him notorious outside his natal Puerto Rico, being his music introduced in New York City and Miami. Without any major label backing him, El Cangri.com managed to peak at number 43 on the US Top Latin Albums chart. A track from the album, "Brugal Mix", became his first Billboard chart entry by peaking at number 40 on the US Tropical Songs chart in November 2002. Puerto Rican singer Luis Fonsi has released ten studio albums, two compilation albums, twenty-six singles and two DVDs. Draco Cornelius Rosa Suárez, also known as Draco Rosa, Robi Draco Rosa or simply Draco, is a multiple-time Grammy and Latin Grammy winning American-born Puerto Rican musician, singer, songwriter, composer, multi-instrumentalist, dancer, record producer and entrepreneur. Claudia Alejandra Menkarski, known as Claudia Brant, is an Argentine composer, producer and singer in diverse genres and multiple languages. Marty James is an American singer-songwriter and record producer who was born in Woodland, California. The Billboard Latin Digital Songs is a record chart that ranks the best-selling digital songs in the United States, as compiled by Nielsen SoundScan and published weekly by Billboard. It was introduced in the issue dated January 23, 2010 and merges all versions of a song sold from digital music distributors. Its data was incorporated in the Hot Latin Songs chart on October 22, 2012. This is a list of notable events in Latin music that took place in 2017. The Love + Dance World Tour is the ninth concert tour by Puerto Rican singer Luis Fonsi, in support of his worldwide hit single, "Despacito" (2017). The tour began on July 1, 2017, in Andújar, Spain, and concluded on July 26, 2018, in Marbella, Spain. Juan Carlos Ozuna Rosado, known simply by his surname Ozuna, is a Puerto Rican reggaeton and Latin trap singer. His repertoire include hits such as "Si No Te Quiere", "No Quiere Enamorarse", "Dile Que Tu Me Quieres", "Te Vas", "Tu Foto", "El Farsante", "Se Preparó", "Quiero Repetir", "Síguelo Bailando", and "La Modelo", and collaborations on De La Ghetto's "La Ocasión", Bad Bunny's "Diles", Daddy Yankee's "La Rompe Corazones", Chris Jeday's "Ahora Dice", Wisin's "Escápate Conmigo", Romeo Santos's "Sobredosis", Alex Sensation's "Que Va", Natti Natasha's "Criminal", Reik's "Me Niego", "Baila Baila Baila" and the remixed version of "Te Boté". He has released the albums Odisea (2017) and Aura (2018). He has won two Billboard Music Awards and three Latin American Music Awards. 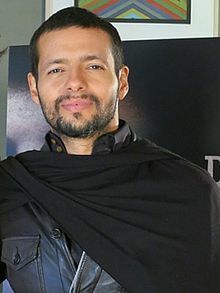 He made his acting debut in the film Que León. Ozuna is the artist with the most 1 billion-view videos on YouTube. Erika María Ender Simoes, more commonly known by her stage name Erika Ender, is a Panamanian singer, songwriter and actress. Ender, in addition to having a respectable singing career, is considered one of the most important and prolific composers in the Latin music market today. Along with Luis Fonsi and Daddy Yankee, she is the co-author of the worldwide hit "Despacito". "Échame la Culpa" is a song by Puerto Rican singer and songwriter Luis Fonsi and American singer Demi Lovato. Fonsi co-wrote the song with Alejandro Rengifo and its producers Andrés Torres and Mauricio Rengifo. It was released through Universal Music Latin Entertainment, Republic Records and Island Records on November 17, 2017 as the second single from his upcoming ninth studio album, Vida. On March 2, 2018, an English remix of the song titled "Not on You" was released. Vida is the tenth studio album by Puerto Rican singer Luis Fonsi, released on February 1, 2019, through Universal Music Latin Entertainment. It is Fonsi's first album in five years, and features the singles "Despacito", "Échame la Culpa", "Calypso", "Imposible" and "Sola". ↑ "Luis Fonsi receives seven Guinness World Records titles for global chart-topper Despacito". Guinness World Records. October 17, 2018. Retrieved January 18, 2019. ↑ Evan Bailyn (April 15, 1978). "Artists – Fonsi, Luis". Music of Puerto Rico. Retrieved November 13, 2015. ↑ "Biografia de Luis Fonsi". www.biografiasyvidas.com (in Spanish). Retrieved 2017-02-23. ↑ Birchmeier, Jason. "Luis Fonsi – Biography". AllMusic. Retrieved August 13, 2012. ↑ Gurza, Agustin (April 15, 2007). "Remaking the band: MTV revives Menudo". The Seattle Times. Retrieved January 12, 2016. ↑ "In Pictures: 'Nobel Peace Prize Concert'". Archived from the original on October 11, 2012. Retrieved February 11, 2018. ↑ "Luis Fonsi Returns to Hot Latin Songs Top 3 With Demi Lovato Collaboration 'Echame La Culpa'". ↑ Fernandez, Suzette (June 6, 2018). "Luis Fonsi Announces Release Date for New Song 'Calypso,' Feat. Stefflon Don: Listen to a Preview (Exclusive)". Billboard. Retrieved June 19, 2018. ↑ "Clean Bandit Announce New Single 'Baby' Featuring Luis Fonsi and Marina". Billboard. Retrieved January 20, 2019. ↑ Villafañe, Veronica. "Telemundo Debuts 'La Voz' With Luis Fonsi, Alejandra Guzmán, Carlos Vives And Wisin". Forbes. Retrieved January 21, 2019. ↑ "Luis Fonsi Will Release New Album 'Vida' Feb. 1: Exclusive". Billboard. Retrieved January 25, 2019. ↑ "Top 100 Albumes – Semana 6: del 1.2.2019 al 7.2.2019" (in Spanish). Productores de Música de España . Retrieved February 13, 2019. ↑ Suarez, Gary (February 12, 2019). "Luis Fonsi Logs Three Simultaneous Billboard Latin Chart Hits". Forbes . Retrieved February 12, 2019. ↑ "Right Where I'm Supposed to Be - Single by Ryan Tedder". Apple. 1 2 3 "Luis Fonsi – Biography". Archived from the original on February 15, 2009. Retrieved February 11, 2018. ↑ "Adamari Lopez, Luis Fonsi's Puerto Rico Wedding". Lovetripper.com. June 3, 2006. Retrieved November 13, 2015. ↑ "Puerto Rican singer, Spanish model have their first child". Archived from the original on October 30, 2013. Retrieved February 11, 2018. ↑ "El bebé de Luis Fonsi y Águeda López nació el mismo día que Mikaela, su primogénita". univision.com. Retrieved February 11, 2018. ↑ "Luis Fonsi brings smiles to our patients". www.stjude.org. Retrieved January 21, 2019. ↑ "Luis Fonsi to Receive Spirit of Hope Award at the 2017 Billboard Latin Music Awards". Billboard. Retrieved January 21, 2019. ↑ Hughes, Hilary. "Luis Fonsi Tearfully Calls For Unity And Help For Puerto Rico". MTV News. Retrieved January 21, 2019. ↑ Castro, Nieves (July 6, 2018). "Luis Fonsi to receive Global Gift Philanthropy award". surinenglish.com. Retrieved January 21, 2019. ↑ Benjamin, Jeff. "Luis Fonsi & Wisin Discuss 'La Voz' Premiere & Its Importance To New Latin-Music Talent". Forbes. Retrieved January 21, 2019. ↑ "Here Are All the Winners From the 2017 AMAs". Billboard. November 19, 2017. Retrieved September 22, 2018. ↑ "Nominaciones a Premios Billboard 2010". Telemundo (in Spanish). Retrieved January 19, 2019. ↑ "Billboard 2010 Winners". Telemundo (in Spanish). Retrieved January 19, 2019. ↑ "Global Superstars Luis Fonsi and Residente Honored at the 25th Annual BMI Latin Awards". BMI. ↑ "Grammy Nominations". Grammy. The Recording Academy. December 3, 2008. Archived from the original on December 5, 2008. Retrieved December 10, 2008. ↑ Fernandez, Suzette (November 21, 2018). "J Balvin Tops Heat Latin Music Awards Nominations: See Full List". Billboard . Prometheus Global Media . Retrieved November 23, 2018. ↑ "Luis Fonsi Wins iHeartRadio Music Award for Latin Artist of the Year". iHeartRadio. ↑ "iHeartRadio Music Award Nominations 2019: Complete List". iHeartRadio. January 9, 2019. Retrieved January 9, 2019. ↑ "19a Entrega Anual del Latin GRAMMY". Latin GRAMMYs. ↑ "J Balvin lidera nominaciones a los premios MTV MIAW 2018". El Universal. April 16, 2018. ↑ "Swiss Music AwardsSwiss Music Awards". Press Play Association. Retrieved January 4, 2014. Note: User must visit the "Award" and "Kategorien" section. ↑ "Winners - Swiss Music Awards 2019". www.swissmusicawards.ch. ↑ "The Tonight Show – Luis Fonsi". NBC. Archived from the original on September 6, 2017. ↑ "'La Voz' Will Come to Telemundo In 2019". Billboard. Retrieved January 21, 2019.